Heather Gray T-shirt with black and burgundy print. Reel in the raves! 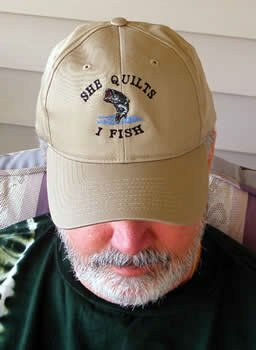 Our "She Quilts - I Fish" cap is a great gift for the fisherman of the house. Khaki with color embroidery. Low score wins! 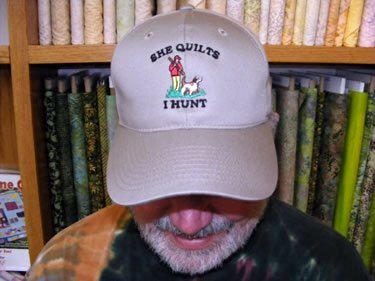 Our "She Quilts â€šÃ„Ã¬ I Golf" cap is a fun gift for the links-lover in the house. Khaki with color embroidery. You bag fabric he bags game. 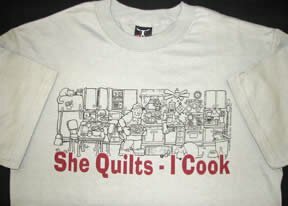 We all enjoy our hobbies! A perfect gift for the hunter in your house. Khaki with colored embroidery. 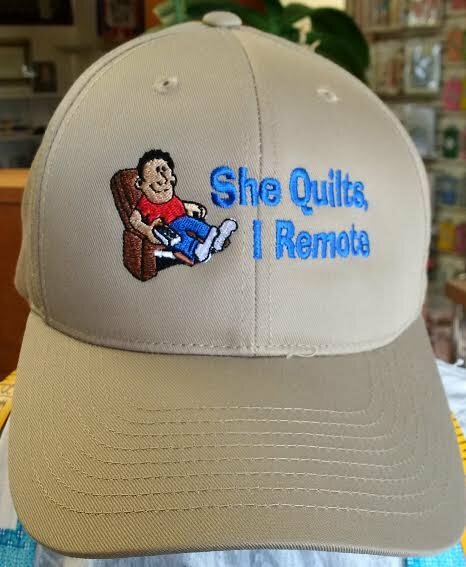 Our "She Quilts - I Remote" cap is a great gift for the armchair enthusiast. Khaki with color embroidery.